I received some inquiries about the black and white poufs featured in a previous post. These beauties are from West Elm and the good news is that West Elm now ships world wide. 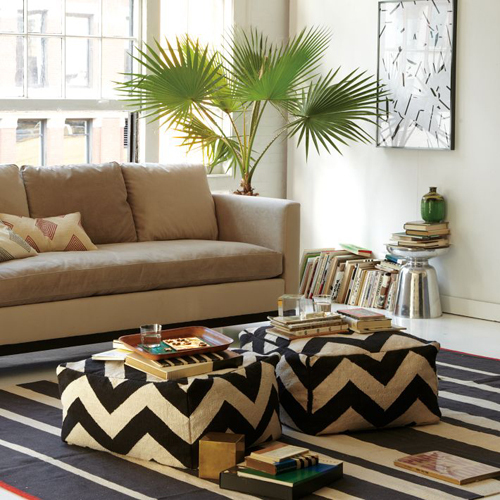 The Zigzag pouf is woven in the same pattern as one of their most popular rugs. 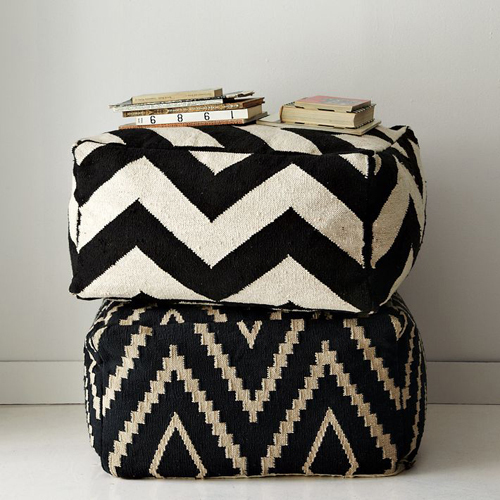 The Kite Kilim pouf is, like the Zigzag, pouf handwoven. From this pattern there is also a rug available. I love these poufs and I am thinking of getting two of them. They can be used a casual seating but I would use them, together with a large tray, as a side or coffee table. Wow, beautiful poufs. I really like them. I don’t what I would want more the poufs, or the rugs. I love them both! !